Do you feel frustrated when someone around you tries to peek at your phone when you're using it (especially when looking at sensitive info)? Well, good news is that a solution to the problem is in the works. It's clear from the video that the face detection process is quite quick, with the company claiming that it happens in 2 milliseconds. 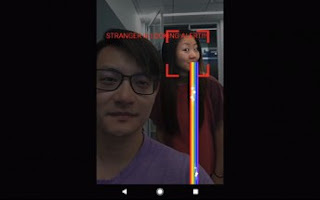 The project is called electronic screen protector, and Google researchers Hee Jung Ryu and Florian Schroff will be presenting it at the Neural Information Processing Systems conference in California next week.